You’ve heard it ad nauseam: Share the Road – a mantra adopted much by cyclists and not at all by motorists. It’s become a passive petition: vulnerable bicyclists begging for enough street space to not be run over and killed from drivers largely indifferent due the empathy-crushing confines of the metal machines they drive. Even worse, groups like Please Be Kind to Cyclists have taken this kind of Stockholm Syndrome to absurd extremes, using language that would embolden any bully, ceding them power over their pleading victim. The PC urban professional crowd you see on their corporate sponsored, helmet-required tours will shun assertive language and cling to a vocabulary of non-confrontationalism. For them, reputation and obedience are more important than responding to clueless motorists and their lethal driving habits with equal and opposite force. Whether in the streets or in our ongoing discourse, the tendency is to back down, to let the oppressor define the rules of engagement and debate. That kind of power dynamic has gotten us basically nowhere. 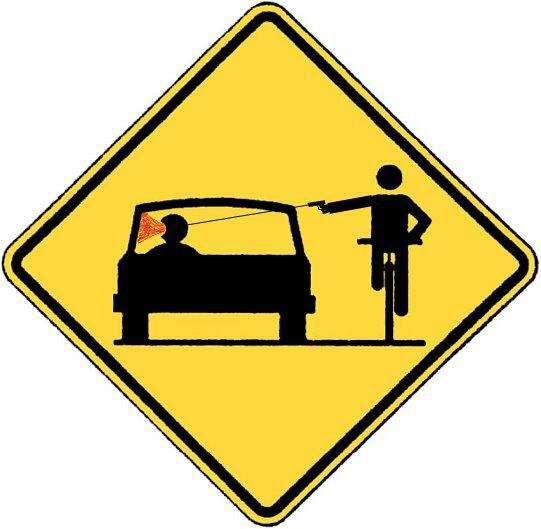 The burden of mortality is always on the person riding a bike, yet the burden of responsibility for using a car to kill or maim a person virtually never falls on the driver. If that pisses you off, it’s time to start acting like it. We’ve come to a point where all the soft-ball pitching of our needs has failed to deliver streets that are safer. Asking for permission to ride without fear doesn’t work – motorists don’t care, or they can’t hear you. It’s time to start adopting principles of two-wheeled liberation.